Six weeks ago, I realized that I really missed writing. Writing used to consume many of my waking hours, and I always enjoyed every step of the process, from finding and evaluating topics, to creating sample code, and organizing research notes, to the actual writing and editing process. 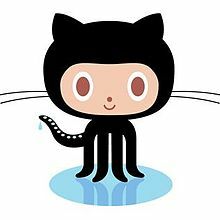 Yes, biobits.org is moving to github pages. I am not sure why it is usually so satisfying, but it is the single best way I know to deeply learn a topic, and to connect to a wider community. Put simply, to write is to think and to connect. With the urge to write again, I have resurrected biobits.org, a site which I hope to devote to my main interests: bioinformatics, scientific computing, and cancer genomics. I originally set up biobits.org on blogger, but I never found the time to maintain it. And, with the renewed interest in writing, I found my way to GitHub as a far better alternative for publishing the site. For a geek such as myself, GitHub is hands-down a better option than blogger. Revision control, support for markdown, jekyll configuration, and instant deployment. It’s also just a hell of a lot geekier and fun. Here’s to more writing. Thanks, GitHub.